Miss bread with breakfast? 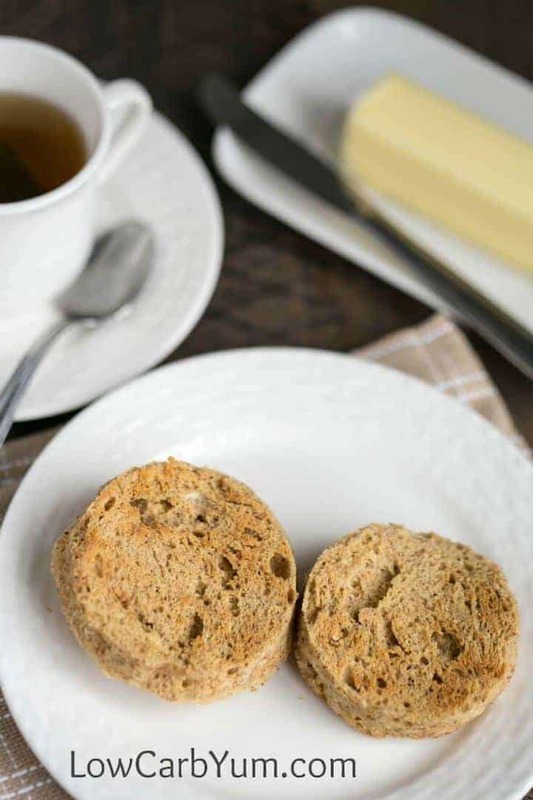 It only takes a couple minutes to make gluten free English muffins in a minute. 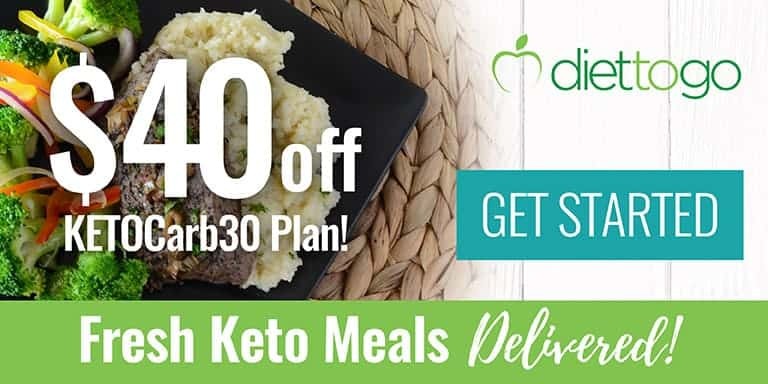 And they are low carb, keto, and paleo friendly! Are you trying to move away from processed foods? The paleo diet seems to be the way to go. Although it’s tougher to do both low carb and paleo, it’s doable and really the healthiest way to eat. 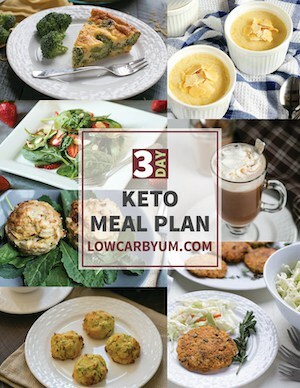 I’ve been trying to do more paleo friendly low carb recipes on the website. And, personally, I find that my health is better when I eat more low carb whole foods. My weight is always better maintained as well. Eggs are a staple for me. 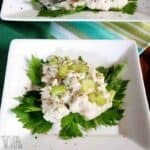 I like to eat them for all meals because they are so quick and easy to prepare. My husband prefers to eat his in a sandwich so I’ve been craving some bread with mine. 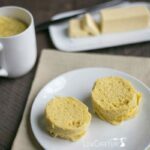 I decided to modify the low carb muffin in a mug recipe I have to make gluten free English muffins. Rather than use blanched almond flour, I used unblanched almond butter. You lose some of the benefits of almonds by removing the skins. That’s why it’s best not to buy the “naked” almond butter where the skins are removed. It should take only half a minute or so to stir all the ingredients together. I used a standard sized ramekin and the muffin did puff up with a slightly rounded top. If you are looking to do a sandwich, you may want to separate the batter into two smaller ramekins. That way, you can just slice each muffin in half and still stay within the serving size. If you are the only one eating, save the second muffin for later! 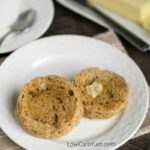 I’ve found that these little keto gluten free English muffins in a minute are the perfect way to make a quick breakfast sandwich. Just prepare the muffins in the microwave and fry up the eggs. In a matter of minutes, you’ll have a delicious egg sandwich. When we make our eggwiches, we add bacon and cheese. It’s quicker than going to a fast food drive-thru. And, they are so much healthier than the ones made with high carb bread. It’s not necessary, but toasting each half of the muffin makes it much crunchier. And I love it when the butter melts and soaks into the bread. 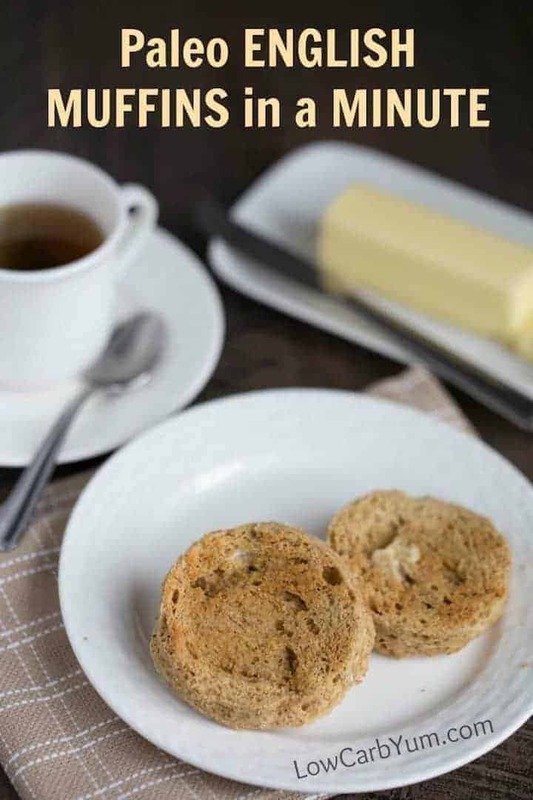 These keto english muffins are also great for dipping into runny egg yolks. When you want a quick and easy piece of bread with your meal, keep this recipe in mind. If you don’t have any almond butter, you can make the original recipe. But, I think using almond butter makes it tastier. 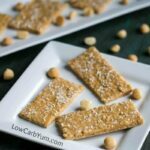 The first time I saw almond butter used in a low carb bread recipe was on the Low Carb So Simple website. You can find that recipe here. I wanted something closer to a personal size. So, I decreased the amount of almond butter to better fit a serving. That was done just in case someone wanted to eat the whole muffin. The fluffier version of the muffin in a minute may need to be tweaked more to use as a cake recipe. And I’d probably use the blanched almond butter for a sweet cake recipe. Some people aren’t fond of using a microwave for baking. I was that way at first. But, the microwave doesn’t destroy the food any more than traditional cooking methods. And, it’s completely safe. Do you bake personal sized recipes using your microwave? If so, what’s your favorite? Miss bread with breakfast? 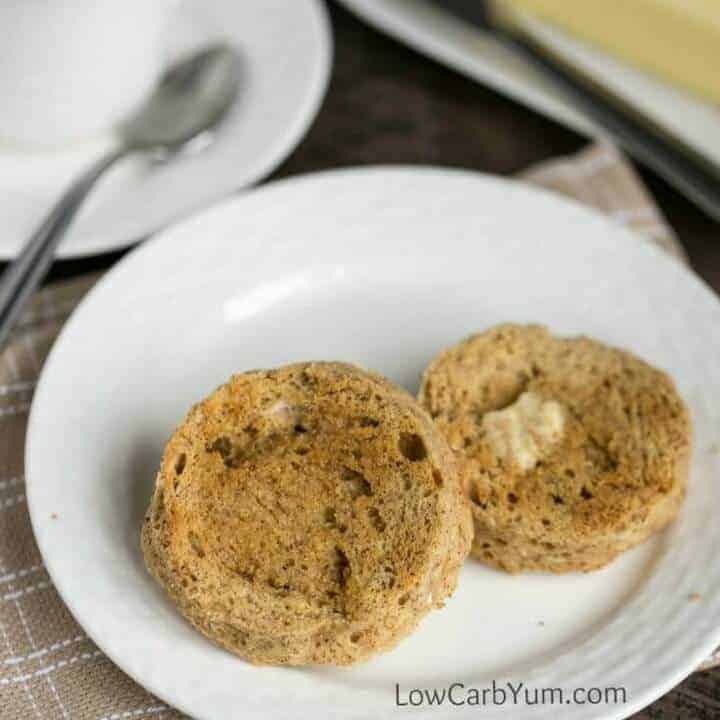 It only takes a couple minutes to make a paleo English muffins in a minute. And they are low carb and grain free! Stir together coconut oil, almond butter, and egg until well combined. Stir in coconut flour, baking powder and salt. Microwave on HIGH for 1 minute to 1 min 30 seconds. 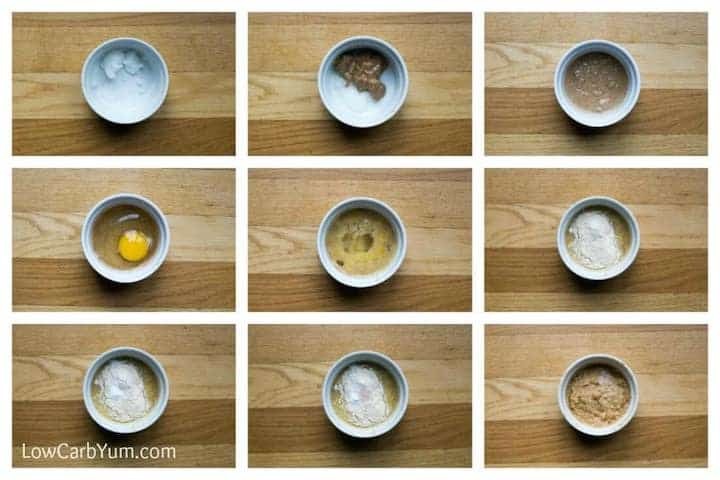 Remove the muffin from the cup and slice in half. Thank you so much for sharing this recipe. I recently had to go gluten free and was missing out on my husband’s Sunday breakfast sandwiches. 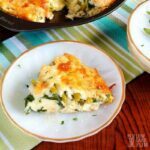 This is super quick and easy and delicious topped with egg, cheese and ham. So glad the minute muffin worked out! Wow! This recipe is just amazing!!!!!!!!!!!!!!!!!!!!!!!!!! I was super skeptical as I’ve never cooked/baked in the microwave. And I’ve never baked with almond butter. But I was so desperately craving toast or English muffins, breakfast sandwiches, avocado toast… read all the reviews and decided to try it out. Blown away!!! Thank you so much for this amazing creation. I was tempted to tweak, but didn’t on the first go and I’m glad I didn’t. I think I over cooked mine a bit so it didn’t toast all that well after, but still AMAZING!!! Yay! Hope you try more minute muffins. They are super easy and convenient. Can we make large batches of this? How can we change the recipe? If you hover over the number of servings at the top of the recipe card, a slider will appear to adjust the ingredients for more servings. You can either microwave them all separately, or bake them in a 350°F oven until done (I’d check ever 5 minutes or so). This was great! I used almond flour instead of coconut flour and it turned out really well. I’m happy I found this recipe!!! I also added ~1tbsp of 100% unsweetened cocoa, which made an excellent mug cake for my paleo ice cream. Thanks!!! Sounds yum. Thanks for sharing. WOW!! I’m so impressed! So easy and so satisfying. Thank you for sharing, I’ve missed this texture so much. You’re very welcome Kristi! I’m glad it hit the spot for you. Hi lisa ! other than microwave and regular oven , what method can i use to bake this muffin ? A toaster oven or an air fryer work too. You can probably do it on the grill as well. Cooking time would need to be adjusted to the method chosen. Does anyone else feel like the calories are calculated a bit off? When I add all those ingredients into MyFitnessPal I get about 302 calories?! Im not sure how that much almond butter and coconut oil (plus a whole egg) could add up to so few calories! The data is for half the recipe. Yeah, kind of assumed it was for half ( one serving ). Anyhow, can’t wait to try it! That’s true. The coconut oil alone should be over 140 calories. What size ramikin are you using? My ramekin is about 4 inches in diameter. OMFG this is going to transform my eating! Just made my first batch & it’s just lovely. But a question…has anyone tried to make this in a small loaf tin in the oven? Wouldn’t it be perfect to be having eggs on toast?! I’ve been meaning to try that, but haven’t yet. This is a recipe for gluten-free English muffins. Off baking in the oven using a muffin tin, what temperature do you bake it at and for how long? Also, how far up do i fill the muffin tins? halfway? 3 quarters? I’d try 350 and fill halfway and see how that works. It may take a little experimenting. OMG…so good! I used besan flour (chickpea) instead of coconut and evoo instead of coconut oil and tahini instead of almond butter. I have an anaphylactic response to tree nuts, rice and dairy. Thanks so much. I toasted it and dressed it with avocado, hummus, tomato and artichoke. Delicious!!! Good to know those subs work! Super recipe! I managed to microvave the muffin (dumpling) for the first attempt. I had no almond butter but I had a powdered peanut butter so I used this with MCT oil. The taste was delicious, really great and very quick to cook. I love quick cooking. How much powdered pb did you use? And did you mix with water? If so, how much? I made this recipe substituting butter for the coconut oil, rice flour for the coconut flour, added a pinch of xanthan gum , and then baked it in the top layer of a breakfast sandwich baker (the kind with layered grills you use to make a fast-food equivalent English muffin breakfast. 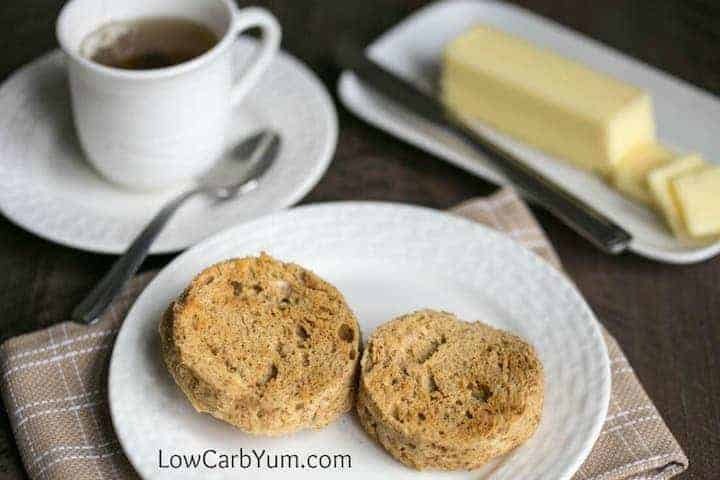 In 5 minutes I was ready to split my low carb, gluten free English muffin, and make an egg and cheese English muffin breakfast in the sandwich maker. 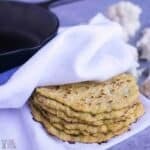 Awesome recipe and so simple! I made this with flax egg (1 tbsp flax meal + 2.5 tbsp water) and it came out great. Just made these for my Keto diet. They are GREAT!! Made 6 to keep on hand for quick breakfast sandwiches. I refrigerate mine and they keep for a week or more. Made it with tahini for the almond butter. Worked like a dream and delicious. I added a scooch more coconut flour to balance the runniness of the tahini. Magical recipe, thank you! I made it this morning and followed the instructions perfectly but when I ate it, it tasted too salty. How do I fix that? Thanks! Omit the salt and try reducing the baking powder if still salty. I’m allergic to nuts (coconut is ok). What can I use instead of the almond butter? Sunflower seed butter is a perfect substitute! Excited about this recipe , I have to replace the nut butters. I am allergic to nuts with butter. Hence why I choose a Keto over a Paleo lifestyle. Nuts are allowed on Paleo too. The biggest differences are carbs and dairy. 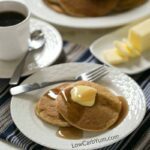 Paleo is not low carb (although many recipes are) and it eliminates dairy. That’s why almond butter is used in the recipe. But, peanut butter could be used for low carb as legumes are allowed on most low carb plans. Great idea! I haven’t tried it yet in the oven, but it is best for making larger batches. How could I make a lot of these at once? Oven? What kind of pan? I’d use baking rings on a sheet pan or a muffin top pan. I tried this. I am sorry but it was not good, to put it nicely. It was so dry I could not swallow it without a drink. It puffed up out of the mug. Not sure if I did something wrong but I followed the recipe exactly. Any suggestions? The coconut flour measurement may have been off as different brands can vary. You may want to try just 2 teaspoons next time. Substituted 1/2 butter for avacado and it was very moist, my new favorite morning toast replacement. I’ll have to try it that way. I love the taste of butter in low carb bread. Thanks for sharing! Thank you for this recipe. 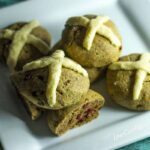 Any ideas on a wheat free/nut free flour substitution? Sunflower Butter (AKA Sunbutter) should work. This is delicious! I substituted the egg for one egg white. Yummy! Glad it worked out with an egg white. Lisa, I look forward to trying this but instructions say “remove the muffin from the cup”. What type of cup? I use a ramekin or a small round Pyrex storage container. Any unsweetened nut or seed butter should work. Thank you….looking forward to trying this recipe!! Can’t wait to try this recipe. I miss my toast with breakfast. It is a good sub! Thanks for the recipes! Love to have toast in the mornings! Would Almond Paste work as well as Almond Butter? 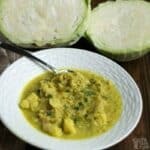 I’m new to this so just learning about some of the low carb ingredients to work with. I’m pretty sure it won’t, but you could try. Great idea! 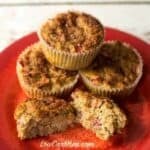 I have tried the almond flour recipe using sunflower butter and almond butter and loved them. I will try the coconut flour version for my next batch. I always make at least 4 at a time (just me) and keep the extras in the refrigerator to toast as needed. I also love to use a pat of butter after toasting and made a cinnamon/sugar sub to use on the top. A great occasional treat! You can. In fact, that’s exactly what I do with them. Can these be frozen? Toasted right away or do they need to be thawed out? I haven’t tried it, but I’d say they can be toasted right from the freezer. I’m wondering if I could replace the Tbsp. 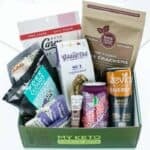 of coconut flour with almond flour? I’d have to give it a try. The texture might be a bit different, but it should work. I cannot wait to try this!! I am so tired of sweet protein bars for a fast on the go breakfast. Would love a bacon/cheese sandwich!!! It is the missing piece of a delicious breakfast sandwich! This looks good. I realize that it is supposed to be paleo but can I use regular butter instead of almond butter and would the amount change? Almond butter is a key ingredient. You can use butter in place of the coconut oil, though. I tried it for the first time today! But since I do not have almond butter at the moment, I substituted it with butter. It is delicious! I will buy almond butter next time. I might taste the difference. Thank you for this easy breakfast for a busy working person like me! Good to know the butter worked. I find adding a bit more fat keeps them from being too dry. No fiber in this recipe? There’s about 2g fiber. Updated! Hi! Can you tell me please if the nutrition information is for both servings or just one? Thanks so much, can’t wait to try this, wow! Amounts for half the muffin are located in the top right of the recipe card. It’s for half the muffin so double for it all. Thx for the recipe! Can it be made in a regular oven (on what temperature an how long)? I’m thinking 350F for 10-15 minutes, but not sure of the time. You’d need to just take it out when it passes the toothpick test.